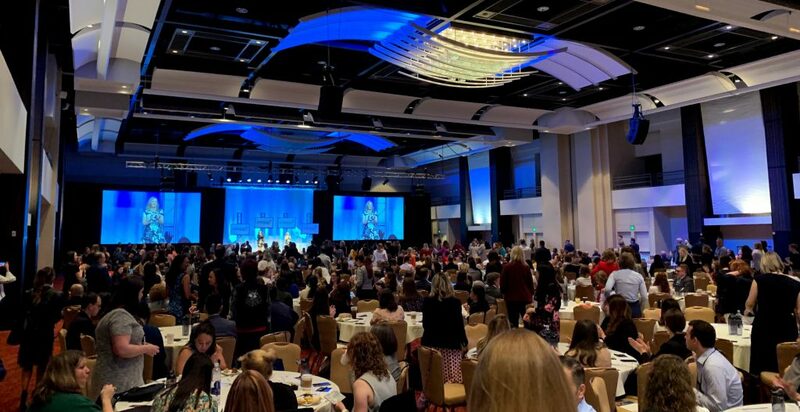 Note: To learn about the ever-popular GC panel — this year focused on the rise of alternative legal services providers (ALSPs) — read this recap by Corporate Counsel magazine. Diversity is good for business. But don’t take my word for it — take your clients’ words for it. In this client panel (moderated by an in-house diversity director), the panelists demonstrated the imperative for firms to diversify and promote their diversity. Clients are becoming savvy to the practice of bringing diverse attorneys to pitches, then not staffing the work with those diverse attorneys. To guard against that, many clients are following up long after the work is awarded to ensure that diverse lawyers actually did the work. One panelist recalled attending a pitch with a law firm and asking the attorneys in the pitch about the firm’s diversity programs. An attorney quickly handed her the firm’s diversity and inclusion (D&I) brochure, but no one in the room could answer basic questions about the firm’s D&I program. The firm did not get the work. For example, track RFPs that ask for D&I information, research clients who have signed pledges for diversity, and implement client interviews and surveys that address diversity. Greg Negus, Chief Operating Officer, Ogletree, Deakins, Nash, Smoak & Stewart P.C. Demand was up again in the fourth quarter of 2018, marking three consecutive quarters of positive demand growth. In addition, demand was up across all segments — Am Law 100, Am Law 200, and small/midsize firms. 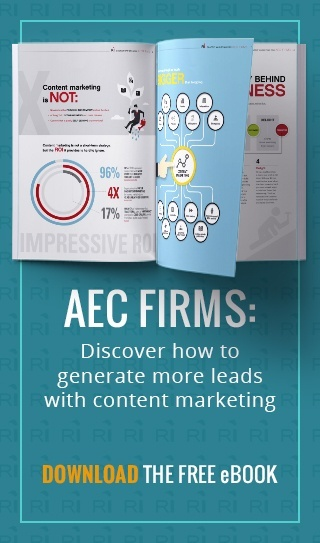 Marketing and business development spending grew by between 1% and 1.5% (in terms of dollars per lawyer FTE). However, the panelists pointed out that the growth was eroded when factoring in inflation of around 2%. In addition, the panelists argued that tax reform drove a significant amount of work, and with corporate America experiencing an influx of cash, investors are demanding a return, leading to new innovations, acquisitions and more — all leading to new legal work. As corporations continue to get larger in scale, the law firm convergence trend will follow suit, as corporations look to decrease the number of firms they manage. 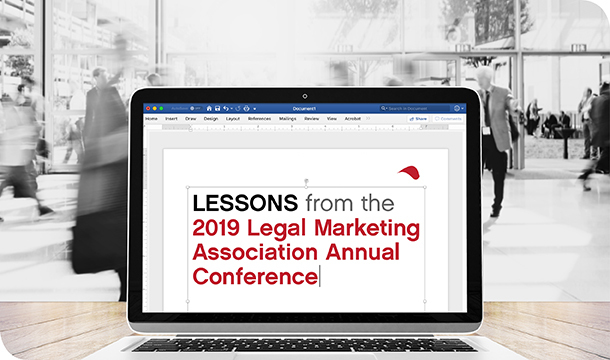 Jaron Rubenstein, President of RubyLaw, provided an overview of the “marketing technology stack” concept (a cluster of tech tools marketers use to achieve their goals) as well as an overview of the technologies available to (and commonly used by) legal marketers. As both niche and one-size-fits-all tech solutions proliferate, marketers are challenged with finding the right solutions for their needs. To help, RubyLaw has compiled a comprehensive survey of these tools in its Marketing Technology Stack Blueprint (registration required). As you’ll see, integration across platforms, complexity and the use of data to mine insights increases along with firm size. In addition, as firm size increases, the degree of specialization among practitioners increases. For example, larger firms may employ CRM specialists to manage their CRM systems. 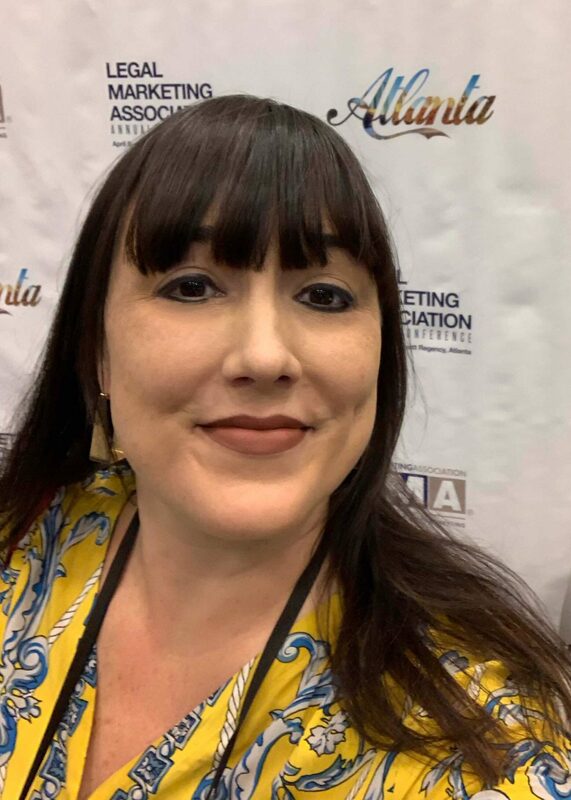 Did you attend the 2019 LMA conference? I’d love to hear your thoughts. Comment below or email me at michelle@rep-ink.com.